The best way to get to know a community is by scheduling a tour. See the facilities, meet the staff and residents, and get a feel first hand what it's like to live at Belvedere Commons of Seneca Assisted Living. 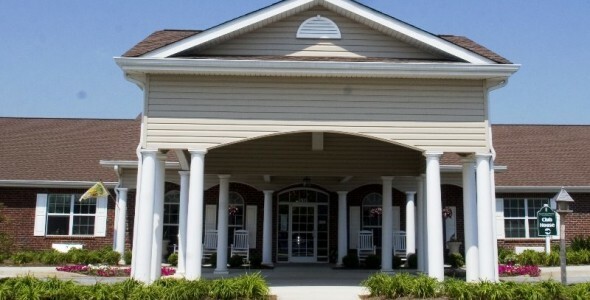 Conveniently located near scenic Lake Keowee, Belvedere Commons of Seneca offers a complete lifestyle package for Seneca-area seniors: We offer independent living, assisted living or memory care living arrangements. From our upscale accommodations to personalized supportive services, we have thought of everything that the discerning senior needs to age gracefully. Belvedere Commons of Seneca is managed by Grace Management, Inc. Founded in 1984, Grace Management, Inc. has continued to grow due to our people-oriented approach to senior housing and care. We offer several types of accommodations to fit our resident's preferred living arrangement. Seniors in independent living can choose a one- or two-bedroom villa that has a full kitchen, screen porch and washer/dryer hookups. For seniors requiring assisted living or memory care services, we have studio and one-bedroom apartments available. These have a private bathroom, a walk-in closet and a kitchenette in select floor plans. At Belvedere Commons of Seneca, we believe that a healthy lifestyle includes the freedom to make choices - from what activities you want to pursue to when you want to dine. Through our Life Enrichment Program you will find engaging activities offered every day, and because you are living amongst other active seniors, you will always find a friend to join you. For residents who are part of our independent living community, you aren't required to purchase a monthly meal plan; instead you can purchase meals on your schedule. Our other residents enjoy a thrice-daily meal service in the community dining room that features restaurant-style dining. The All Day Dining Program means you can choose when and what to eat throughout the day. When you require supportive services to remain independent, you can transition into assisted living without having to leave your home. We have 24-hour on-site staff on hand to provide assistance and we also provide weekly housekeeping and linen service. For residents requiring memory care, they can receive it through our unique The Village Program. We encourage seniors to join us at Belvedere Commons of Seneca and rediscover the joy that life has to offer.